Stay true to your vintage roots, but don't compromise on comfort with the Gibson Modern Vintage guitar strap in Heritage Cherry. This strap features latigo leather and memory foam padding to ensure that you'll retain maximum comfort whilst playing your beloved Gibson guitar, acoustic or bass. 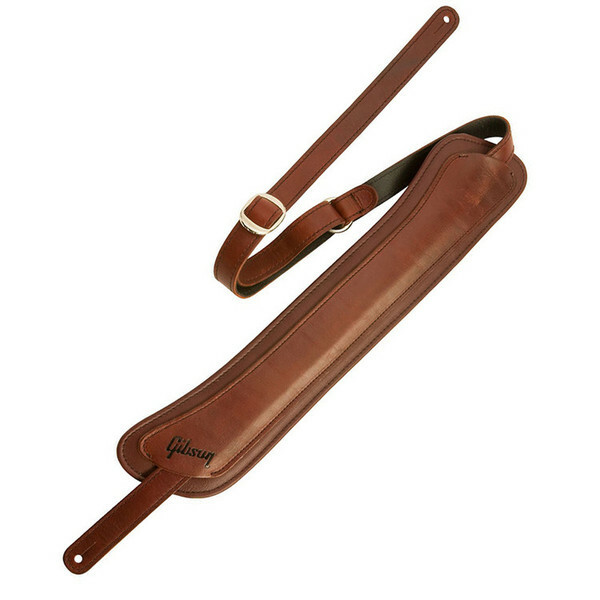 The ultimate luxury strap for your Gibson instrument, with bags of old school vintage style.